The attorney for the family of Rafael "Pito" Rivera says a high-definition surveillance video clearly shows Rivera running away from Buffalo Police when he was fatally shot early Wednesday morning. 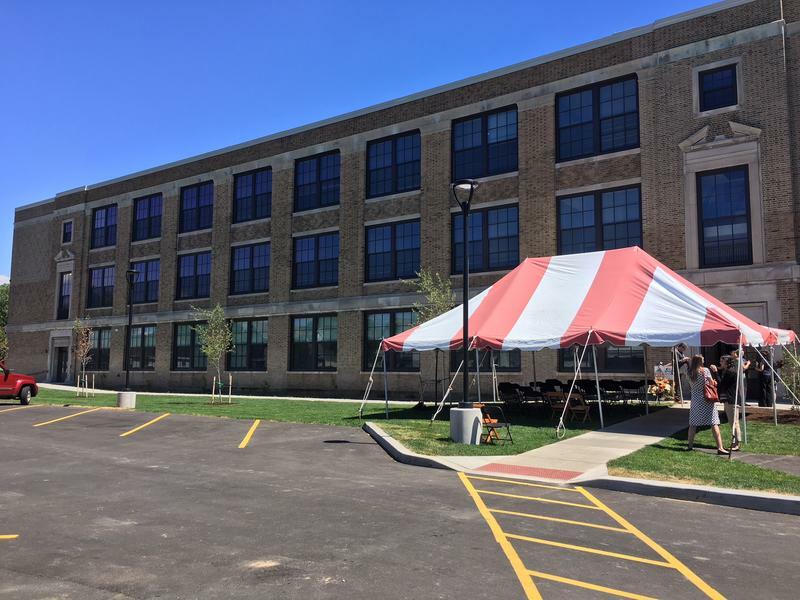 The former School 77 on Buffalo's West Side has officially reopened. 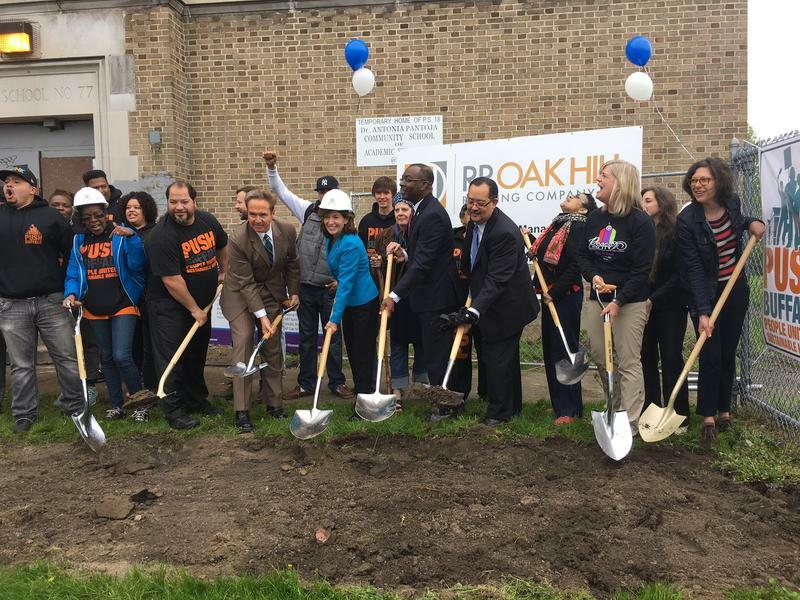 After sitting vacant for nearly a decade, the 90-year-old building has undergone extensive renovations and now includes 30 affordable apartments for seniors. Nearly 100 people hopped aboard two buses early this morning on Buffalo's West Side. 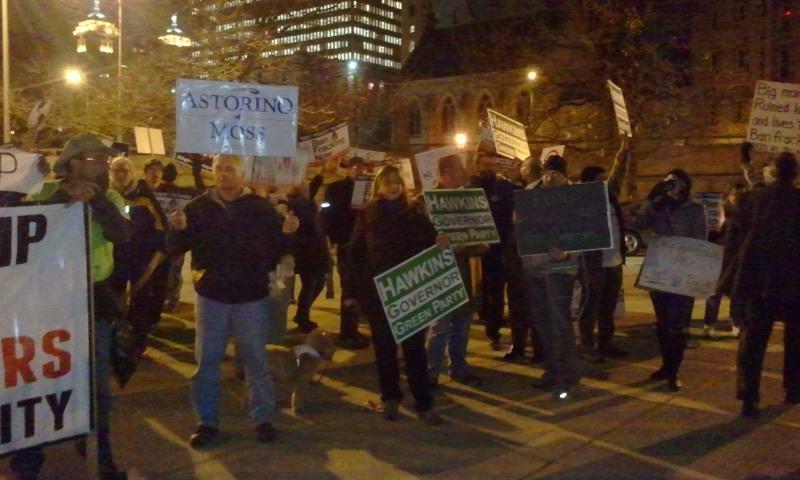 They're heading to an Albany rally called, Cuomo: Walk the Talk on Climate! 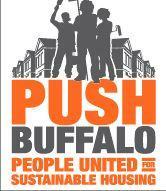 He co-founded People United for Sustainable Housing Incorporated, or PUSH Buffalo, back in 2004. 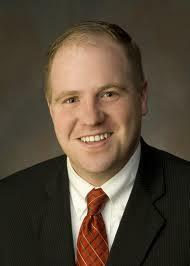 Executive director Aaron Bartley says he will leave the organization next August. 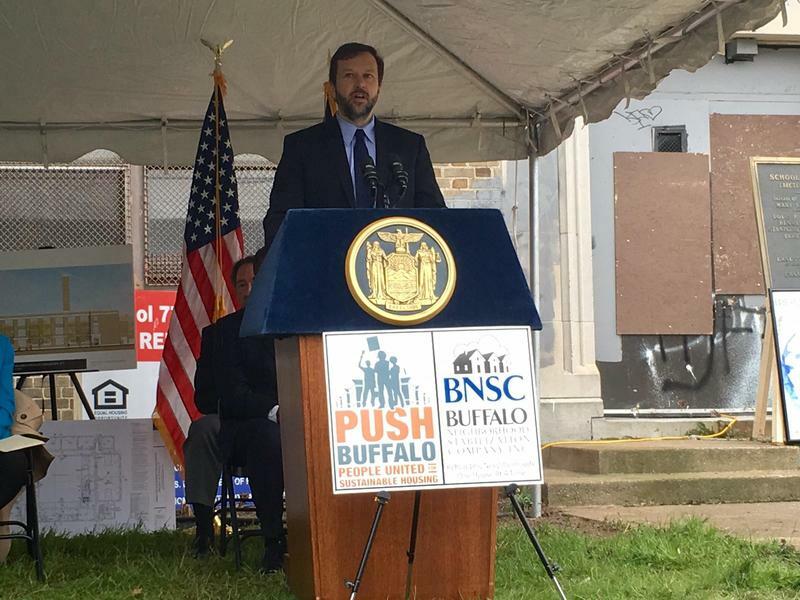 WBFO's Michael Mroziak chats with PUSH Buffalo executive director Aaron Bartley, who on Thursday announced he will step down from the organization next August. 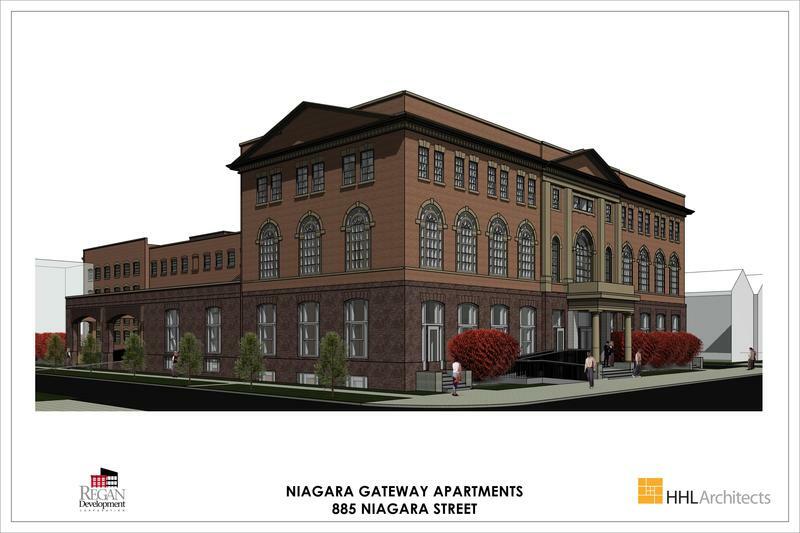 Some much needed affordable housing is on the way for seniors on Buffalo's West Side. 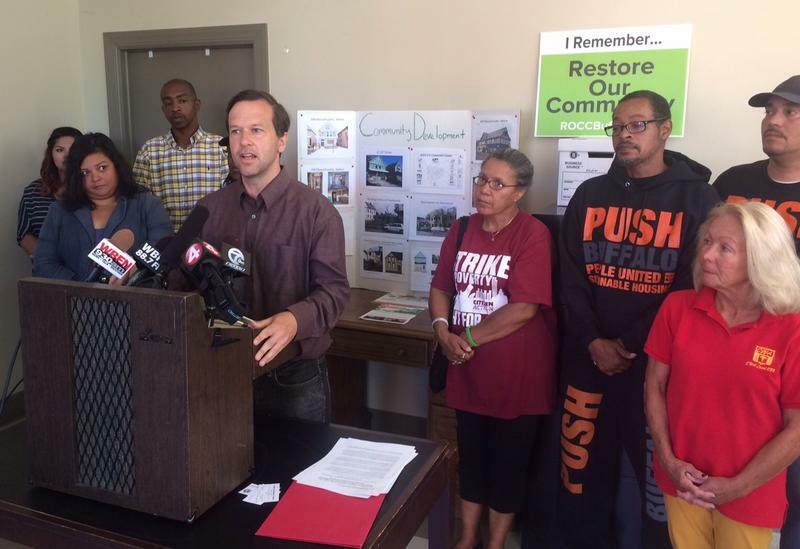 WBFO's Chris Caya has more on what the future holds for the former Buffalo Public School 77. The reconstruction of the long-vacant Buffalo Public School 77 is underway. Refugees across the region are going to continue receiving help adjusting to their new life in America. Albany is now funding resettlement agencies that faced cuts under President Trump's refugee ban. 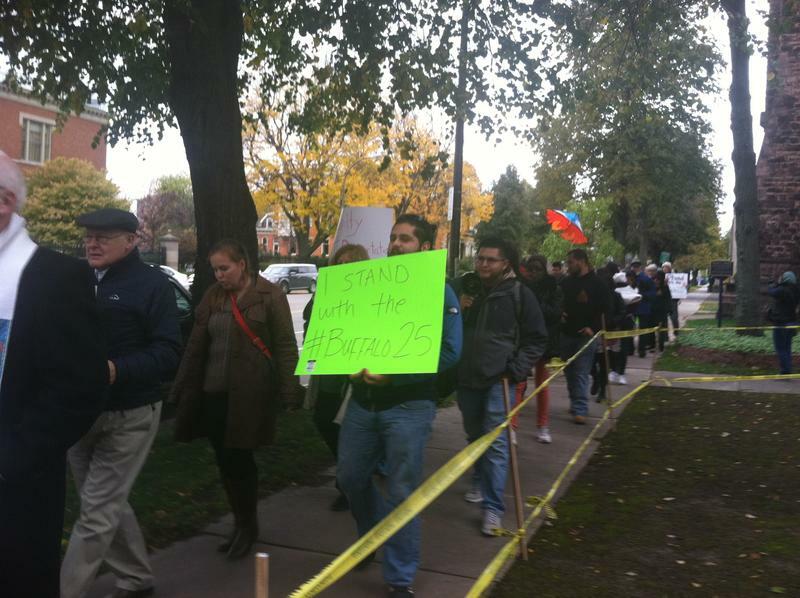 Local advocates see many benefits for the community. WBFO's Chris Caya reports on the state funding announcement made Wednesday at the International Institute of Buffalo. 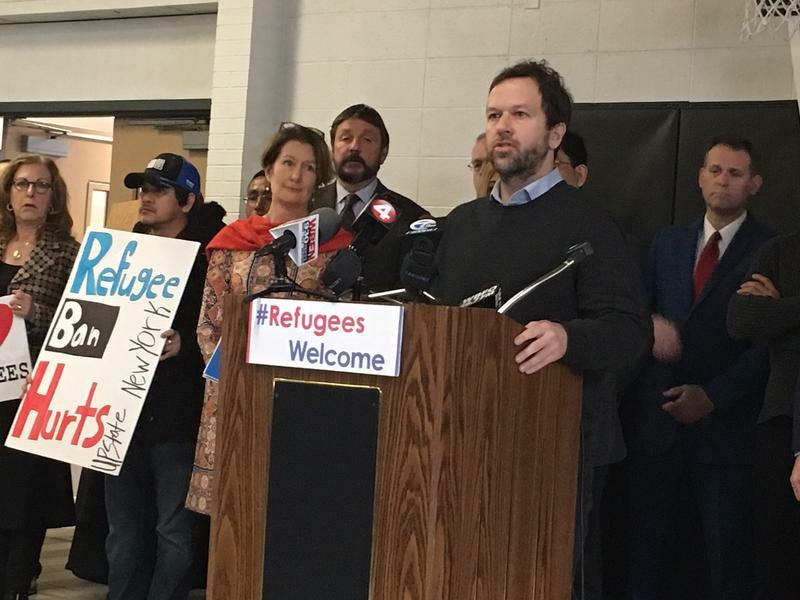 A bipartisan group of legislators is pushing for money in the upcoming state budget to help fund refugee resettlement agencies. 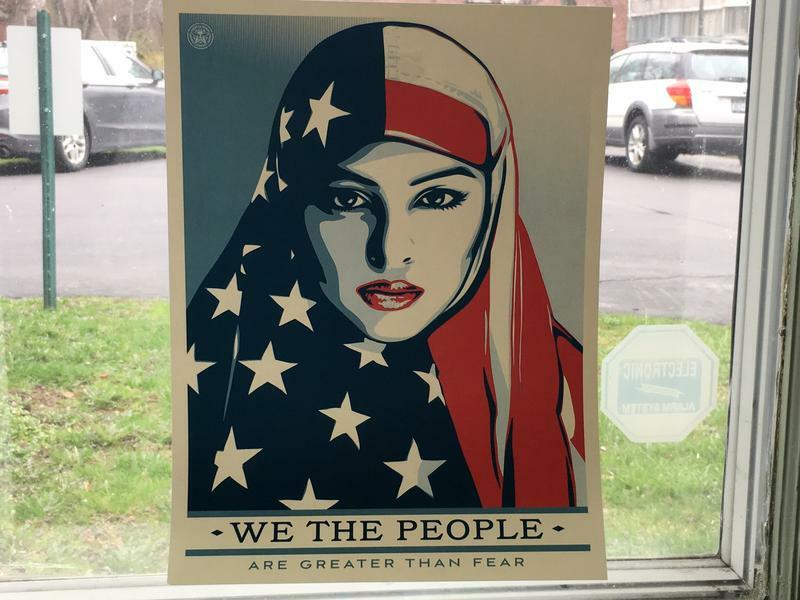 The $12 million plan would help keep agencies across New York open during the Trump administration's 120-day refugee ban. People continue breathing new life into the many "irreplaceable assets" found in one older, smaller neighborhood on Buffalo's West Side. WBFO's Chris Caya takes a look at some the assets being reclaimed on Buffalo's West Side. La Divina cook Antonio Robles said it was a typical day at work last Tuesday. He was doing prep work when officers raided the restaurant and ordered him to get on the floor. Now, he wears a 24-hour ankle bracelet to monitor his whereabouts. 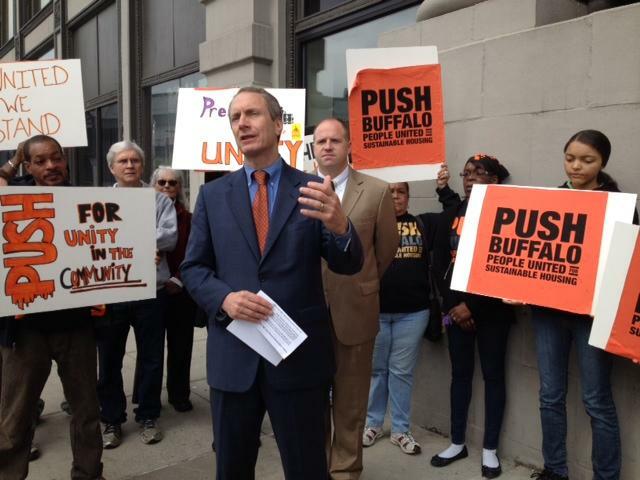 Advocates with PUSH Buffalo are urging residents to attend a public hearing on National Fuel's proposed rate hike. PUSH Buffalo is among more than 40 community, labor and environmental groups joining forces on New York Renews, a new campaign urging Albany to pass ambitious climate solutions in the coming new year. 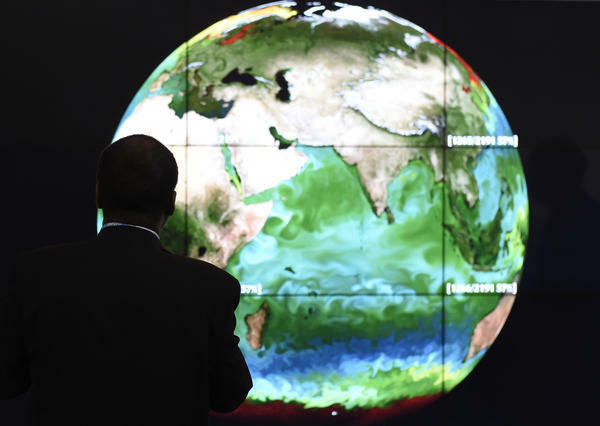 A local group that promotes affordable housing and neighborhood revitalization has a voice at the Paris climate conference. 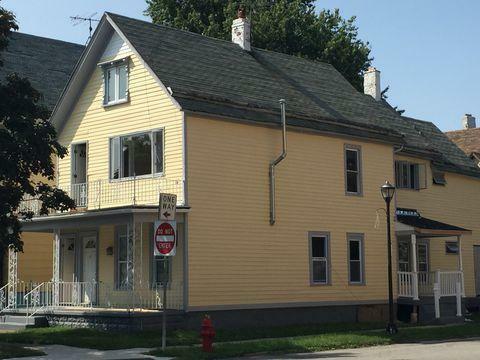 Buffalo's West Side is now drawing multi-million dollar investments along Niagara Street. 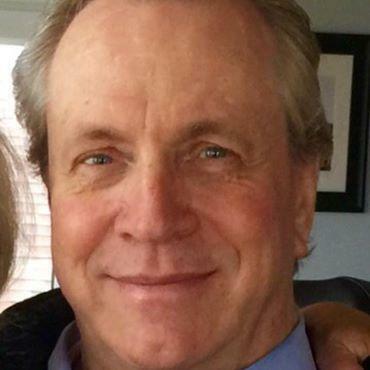 Community activists and elected officials are once again calling on Verizon to provide FiOS service in the City of Buffalo and they're looking to the New York State Public Service Commission for help. 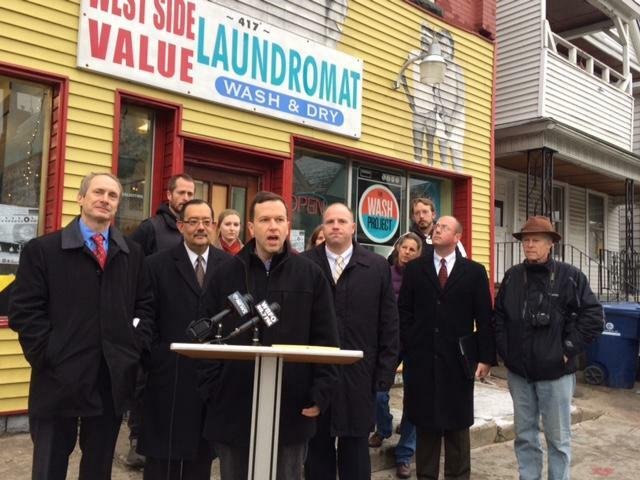 PUSH Buffalo announced three renewable energy projects on the city’s West Side Thursday. The New York Regional Economic Development Council awarded $902,980 for the projects from the New York State Energy Research and Development Authority. 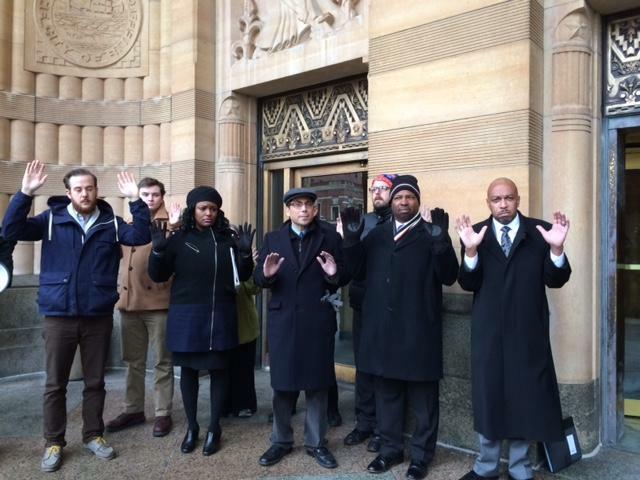 Buffalo Common Council staffers and local activists held a peaceful protest on the steps of City Hall Wednesday. The rally is in response to the lack of indictments in both Michael Brown and Eric Garner cases and was inspired by the recent walkout of congressional staff and a demonstration by New York City Council members. 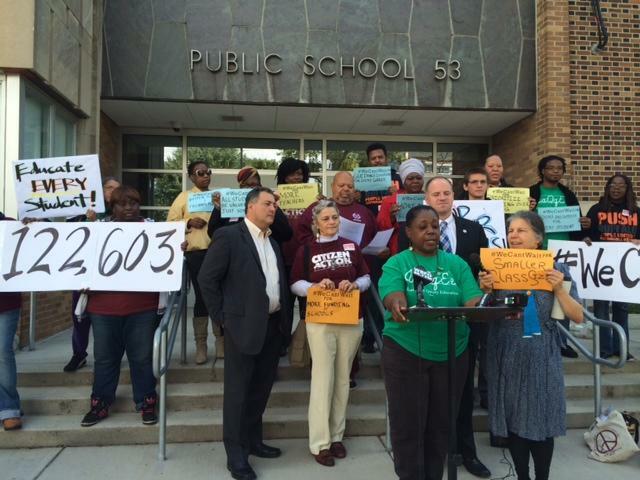 Parents, citizens and local officials gathered in Buffalo Wednesday to demand that New York State provide more funding for public schools. The #WeCantWait social media campaign urges the state to comply with court ordered funding through the Campaign for Fiscal Equality. A small group of protesters with Push Buffalo gathered outside U.S. Attorney William Hochul’s office in downtown Buffalo Monday. 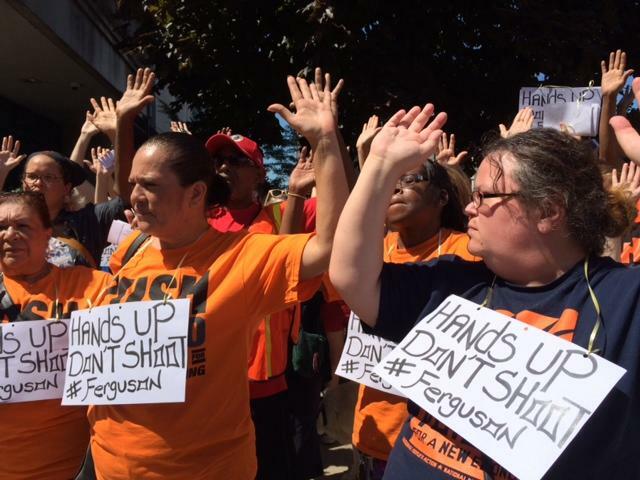 The rally was part of the National Day of Action to call for justice for slain Ferguson, Missouri teenager Michael Brown. 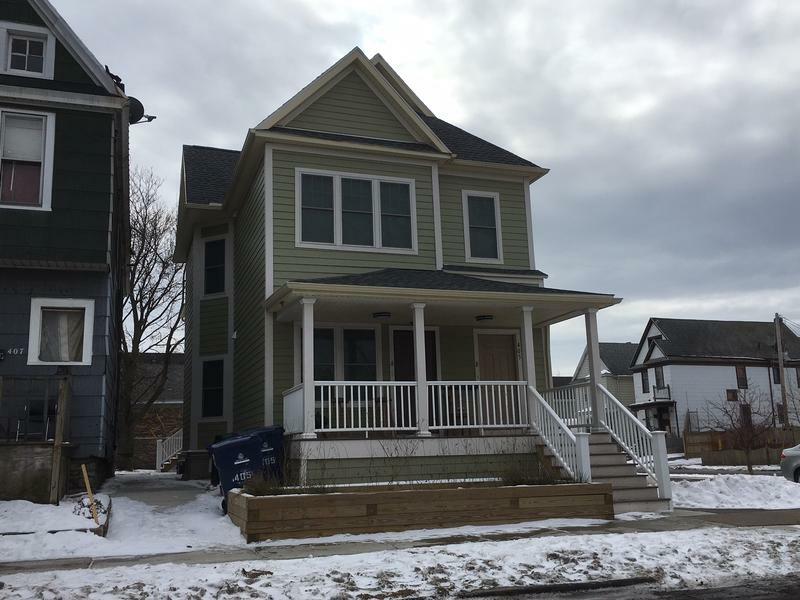 Buffalo's changing West Side is getting new housing. The 46 housing units will eventually cost more than $12 million when completed in late summer of next year. 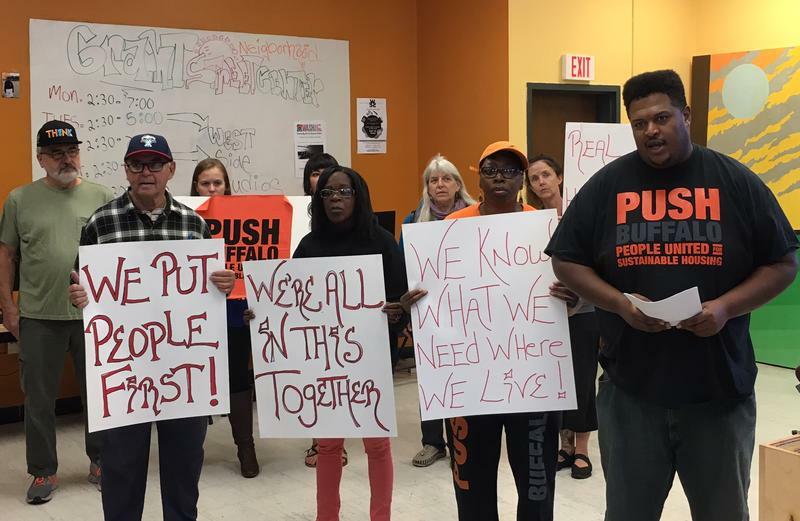 PUSH Buffalo released a community-based energy plan Thursday as part of the comment period for Governor Cuomo’s 2014 Draft State Energy Plan. A settlement has been reached with National Fuel that will bring refunds to customers and additional green jobs to Western New York. 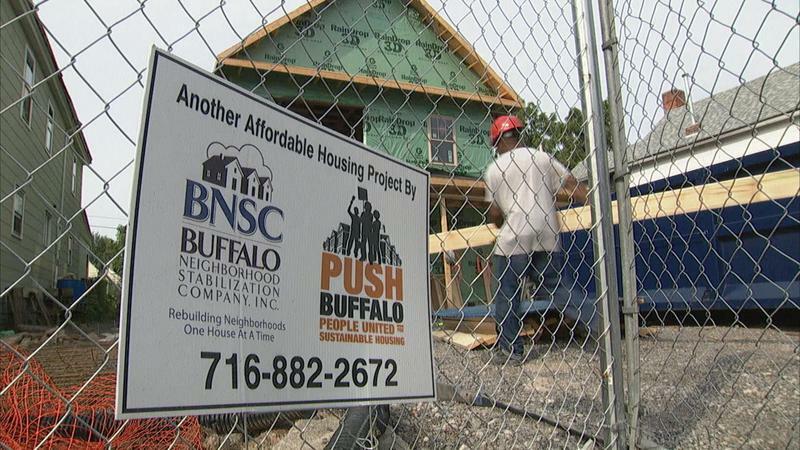 The sustainable-housing organization PUSH Buffalo has been awarded more than $3.5 million from New York State to continue their work on Buffalo's West Side.